The award-winning singer/songwriters join popular music company for new song publishing deal. 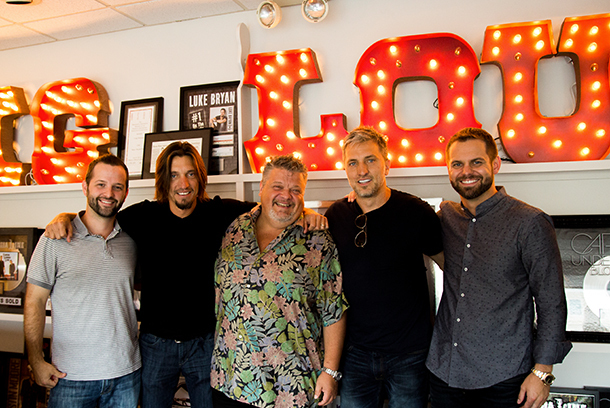 The Warren Brothers -- Brett and Brad -- have inked a new publishing deal in town with Big Loud Shirt Industries. After putting their own artist career on the back burner, the Warrens became an unstoppable force in Nashville as songwriters, having scored hits with Tim McGraw (“If You’re Reading This,” “Felt Good On My Lips,” “Highway Don’t Care”), Toby Keith (“Red Solo Cup”), Keith Urban (“Little Bit of Everything”), Faith Hill (“The Lucky One”), Martina McBride (“Anyway,” “Wrong Baby Wrong”), Dierks Bentley (“Feel That Fire”), Jerrod Niemann (“Drink to That All Night”) and more. “The Warren Brothers are the piece of the puzzle that we’ve been trying to find over here," shares BLS’s Creative Director Matt Turner. "Brad and Brett know how to have fun, treat people the right way, and write amazing songs. We couldn’t be more thrilled to add them to our roster and put their songs in a position to win. We are looking forward to the years ahead with these guys!" “We love Big parties, Loud music, and taking our Shirts off, so it seemed like the perfect fit for us,” cracks Brett Warren.